We provide the best medical and professional care to current and former athletes of all ages and at all levels of play. Our work includes medical and health services, legal and business programs to support players, and other athlete-focused training and assistance. Since 2011, the Professional Athlete Care Team (PACT) at Tulane Medical Center has been caring for retired professional athletes through partnerships with the National Football League and National Football League Players Association. PACT’s unique care model — using athletic trainers to provide athletes a higher level of comfort and familiarity — is designed to meet the specific needs of former professional athletes. For more information, visit the PACT Clinic page. A strong sports medicine program is vital to keeping athletes safe, fit, and at the top of their game — and it’s critical to preserving their future health and well-being. At the Tulane Institute of Sports Medicine, taking care of athletes is what we do. Our physicians, athletic trainers, physical therapists and other professionals work together to help athletes get back in the game as safely and quickly as possible. The Tulane Institute of Sports Medicine also offers education and support for athletes and coaches at all levels, and we work with parents to help them take the best care of their young athletes. For more information, visit the Tulane Institute of Sports Medicine page. Through this partnership with the Tulane Sports Law Program, members of NBRPA (NBA, ABA and Harlem Globetrotters alumni) submit legal questions to law students. The students are tasked with researching a variety of legal, economic and social issues, including intellectual property rights of athletes, tax issues, contract law and worker’s compensation. 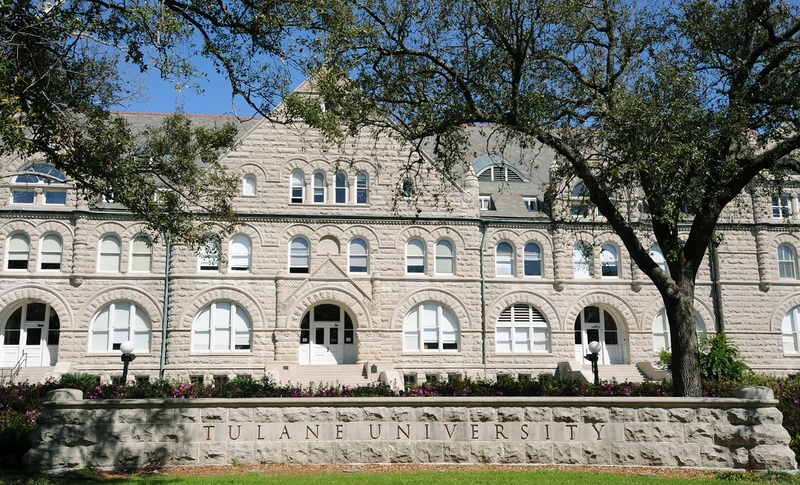 Tulane Athletics is a “living lab” where athletics and academics meet. Services and programs developed at the Center for Sport are aided by working closely with student athletes and staff. This relationship allows the Center for Sport to provide additional resources and opportunities to student athletes for achieving competitive success and personal growth through sportsmanship. For active women, musculoskeletal health is the foundation of well-being. The Tulane Women’s Sports Medicine Program, led by Dr. Mary Mulcahey will help you maintain or develop a strong foundation, so you can maintain an active lifestyle doing whatever moves you. We know “active” takes all forms, ages, and fitness levels: college and high school sports, busy work schedules, running, tennis, parenting, family activities, gardening and more. That’s the beauty of the Tulane program: our focus is on keeping active women active in the way that best aligns with their goals and lifestyles. For more information, visit the Tulane Women’s Sports Medicine page. The dancing athlete, regardless of level of experience or ability, needs specialized care. The dance medicine program at the Tulane Institute of Sports Medicine is designed specifically for the needs of dancers, to prevent injuries and to treat them properly and promptly. For more information, visit the Tulane Dance Medicine page.